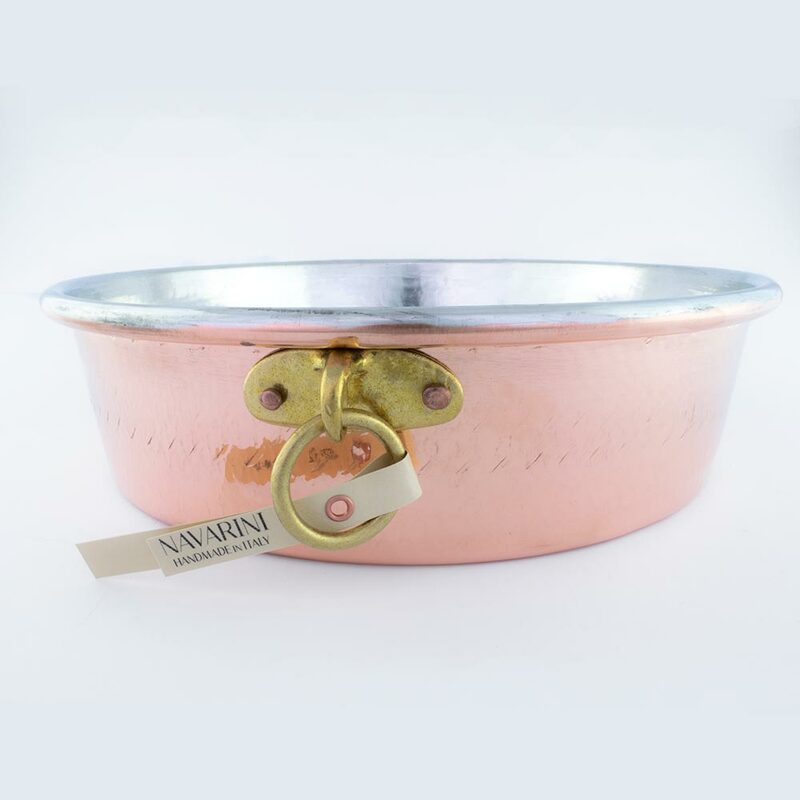 100% hand-crafted in Italy from one single sheet of copper - our deep dish copper pie pan is perfect for preparing sweet or savory dishes and comes in 2 different sizes. Although called a pie pan, those are really not only for preparing sweet pies but pretty much for anything that you like to bake in the oven. Especially the depth of our pie pans make them much more versatile. The brass ring is secured with 2 copper rivets and very useful to hang the pie pan on the rack. As all of our products, our deep dish pie pan is hand-crafted in the Navarini workshop in northern Italy. 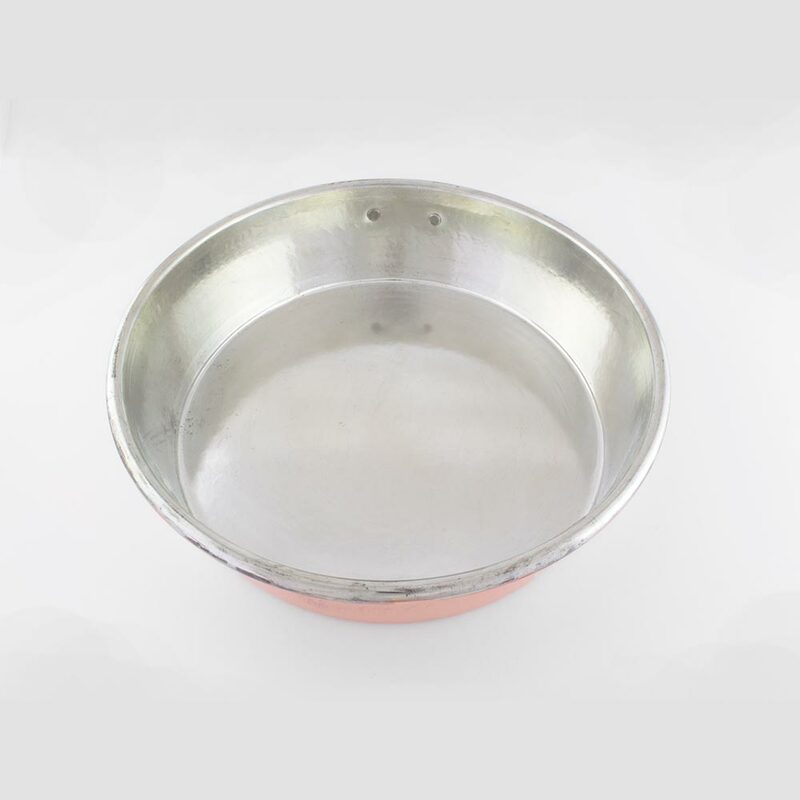 The body of our pie pan is constructed from one single sheet of copper ensuring absolute even heat distribution from the base to the sides of the pie pan. The brass ring is made of high quality brass and secured by 2 copper rivets. 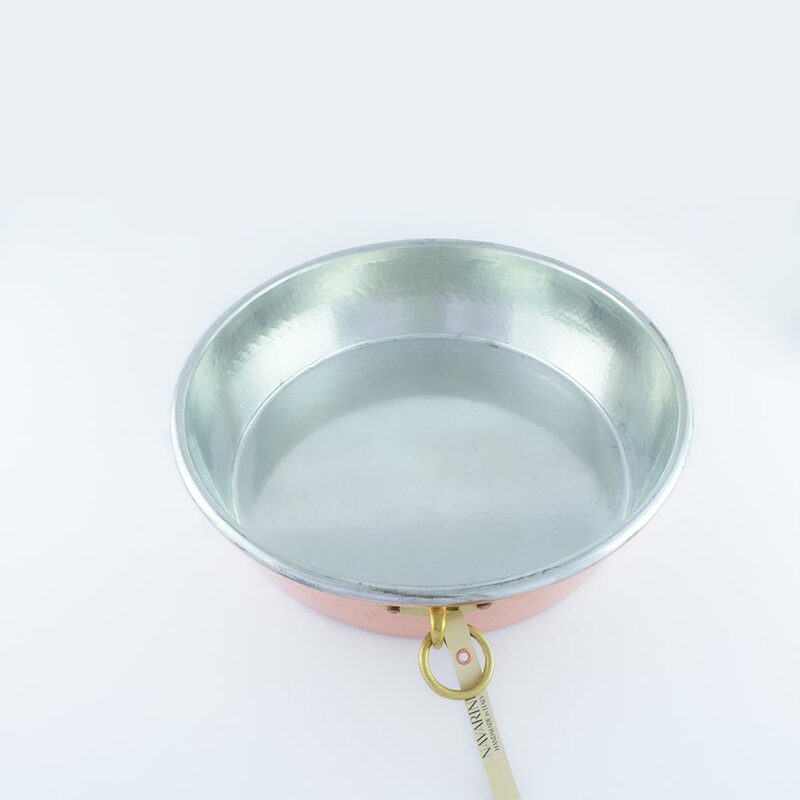 Our copper pie pan features a pure brass ring for easy hanging & storing. We only use high-quality brass on any of our copper products as well as only secure them with pure copper rivets. 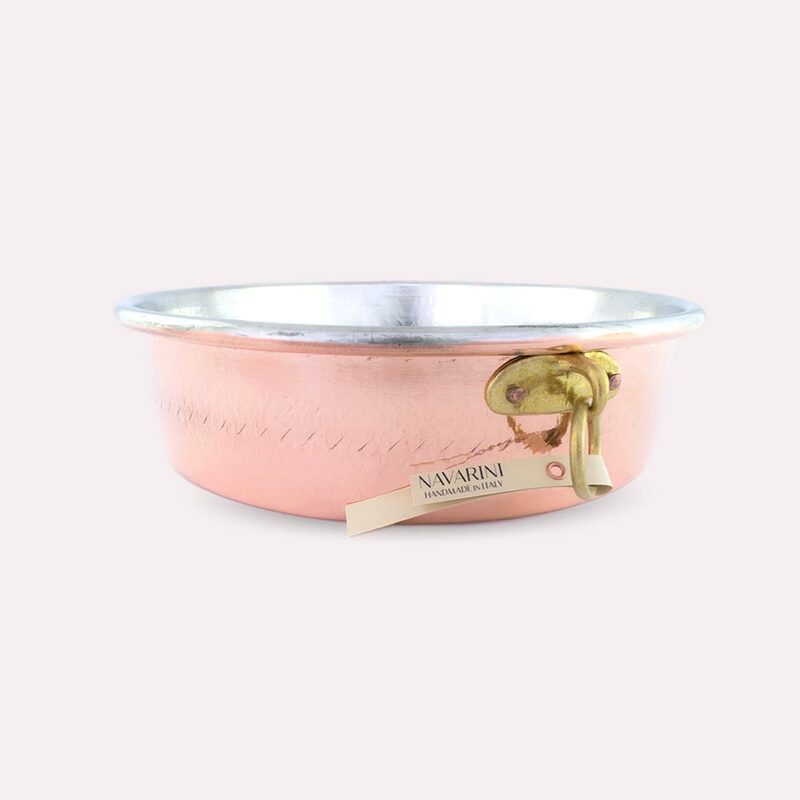 The brass ring on our pie pan is secured with 2 copper rivets. 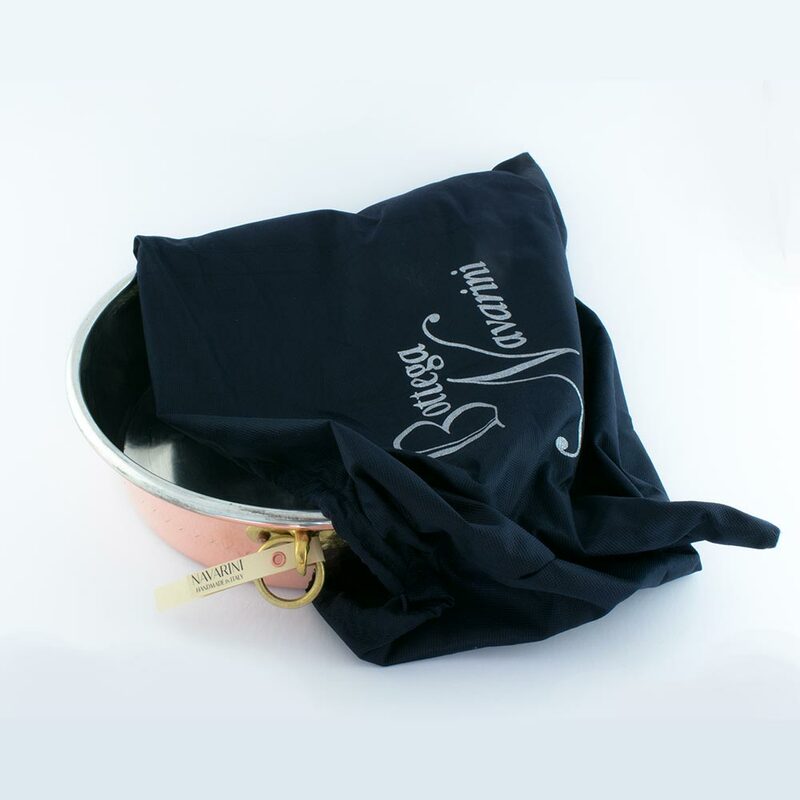 As most of our larger copper products, our copper pie pan will arrive packed in our beautiful blue "Bottega Navarini"� cloth bag. 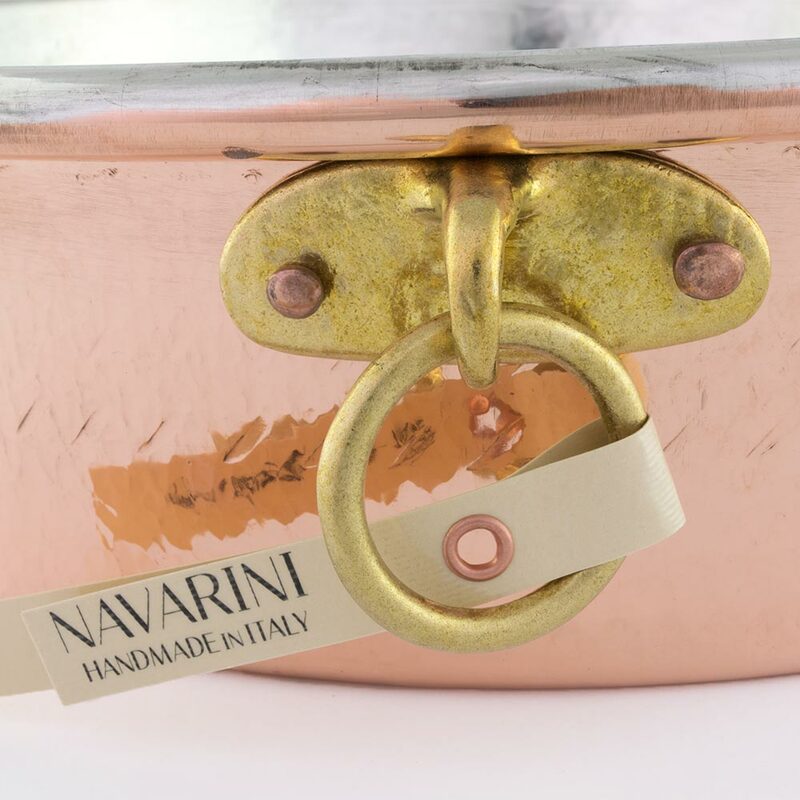 Not only a fitting bag for our beautiful copper products but already treasured by our customers as proof of an original Navarini.